We all know how much easier it is to juggle home and life when everything is organised. When everyone knows where the cereal is, where the wipes are kept and where to find the baby’s singlets in the dark of night when she’s soaked through. Yes, organisation makes the day (and those nights) run smoother and where do you go for the best tips and tools of the trade? To that mecca of organisation, Howards Storage World. 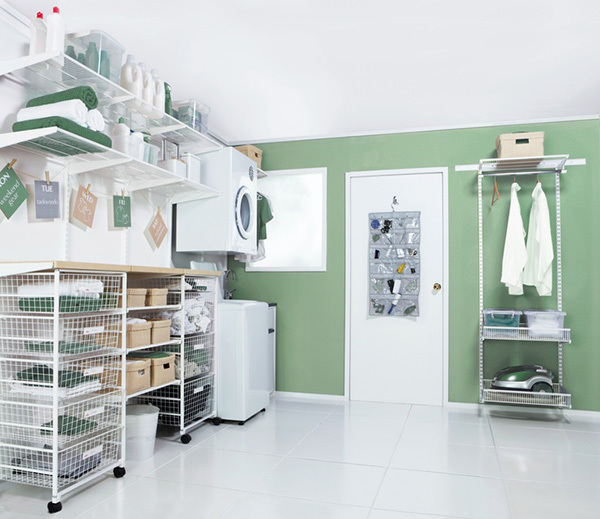 Howards Storage World make becoming ultra organised super easy with helpful strategies and a huge product range suitable for organising any space in your home. 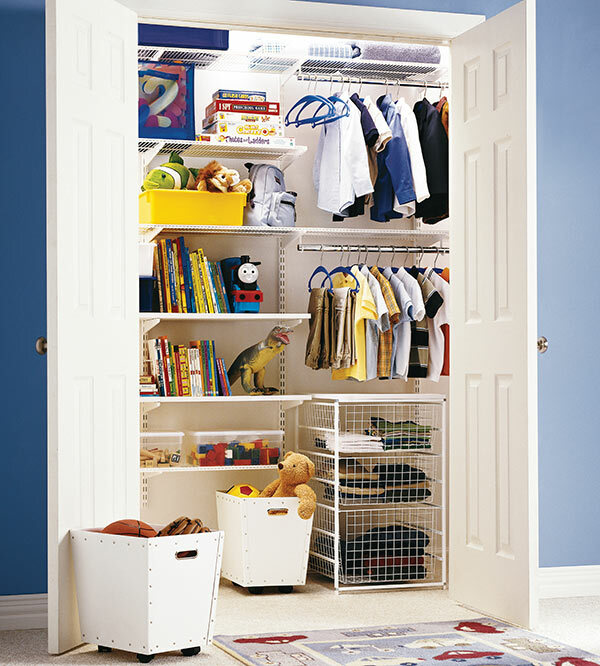 Howards’ Organising Expert Cathy Player reveals her top organising tip for parents is to look for ways to use space more efficiently so that average storage can become extraordinary storage. Whether you’re turning a spare room into a nursery or a play room, or just suffering stuff overload, Howards Storage World can help you house it all in a neat and orderly fashion with their range of clever storage, including its star product, the Elfa system. Let’s start in the nursery. The Elfa range helps turn a blank wall into a working storage solution with ample space for toys, clothes, even bassinet and cot linen. The only part of this Elfa system (pictured top, prices vary depending on configuration) that is fixed to the wall is the top track, enabling it to be reconfigured as the children grow older. Howards Storage World offer a free design, measure and quote service for the Elfa product – they’ll even visit you at home to make sure they get it right. To show just how versatile the Elfa system is, Elfa shelving has been installed within this wardrobe to really maximise the use of the space. Genius! Better yet, it’s easy to install yourself (though of course if you’re not DIY minded, installation can be arranged). I think you’ll be hard pressed to find a home that doesn’t struggle with toy storage, but never fear Howards Storage World has you covered there too. 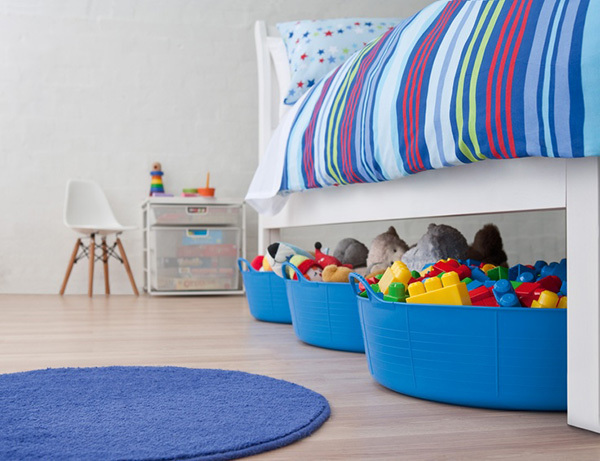 These awesome Tub Trugs are great for young children to move and packing up is easy when toys can be tossed in and pushed under a bed. They come in a rainbow of colours and priced from $11.95 for bigger ones. Older children will eventually appreciate sorting their toys and being able to keep them neat and separate using Elfa Drawer units (pictured below). Prices start at $219.45 for a two-drawer unit. Moving on to other areas of the home, the kitchen can get crazy disheveled when there’s a family to cook for and meal preparation is a lot more enjoyable when you know where everything is. If you have the luxury of space, this triple coated chrome Easy Build Open Pantry Unit (priced $1720) looks amazing and can be completely customised to your needs since it’s a component system. 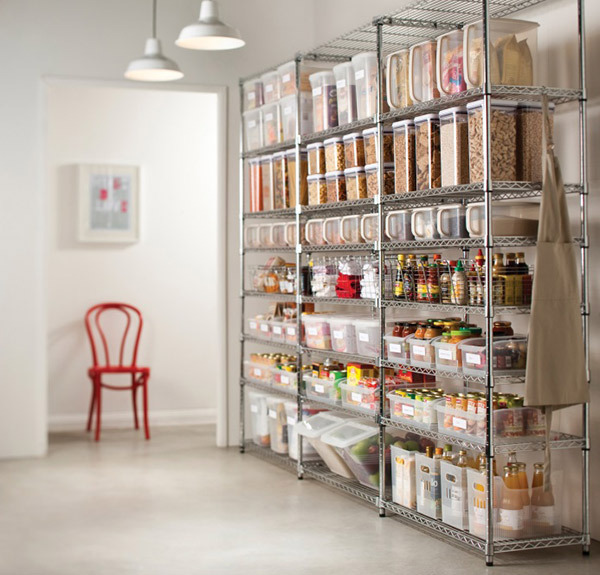 Howards Storage World have a plethora of drawer organisers and pantry storage to help you get organised in the kitchen. A place I know I can use the help is in the laundry. Howards Storage World create such magnificent laundries, it almost makes the endless cycle of washing, ironing and folding less of a chore. You can see in this image below just how well the Elfa product works in here and how clutter is zoned behind the door with a handy 22 Pocket Organiser, priced $23.95. While I could keep waxing lyrical about the amazing versatility of the Elfa system for the whole home, Howards Storage World also have plenty of other fantastic products such as childcare and school lunch box hardware needs. Check these very clever Fridge To Go thermal bags that keep their contents cold for up to eight hours. 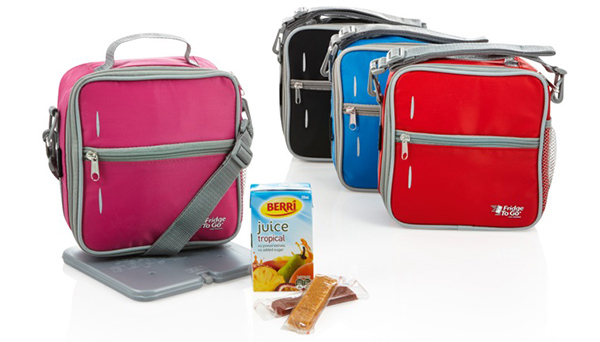 Fridge To Go bags are available in a range of colours and sizes to suit different appetites and are priced from $29.95. 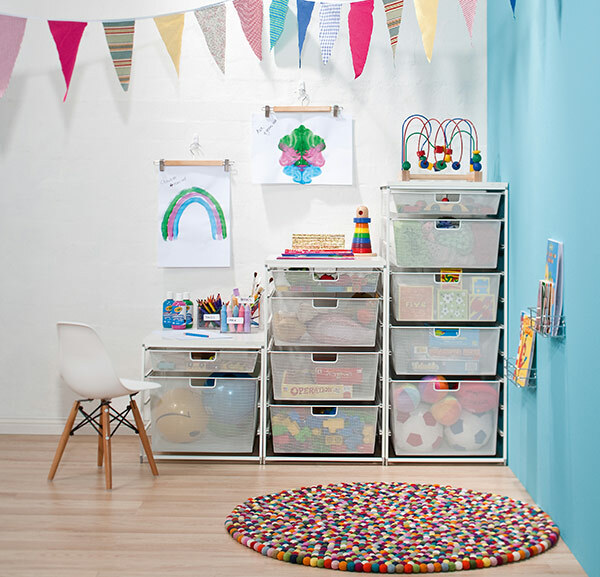 Good news Babyologists, if you’re ready to get organised and like the idea of Elfa or easy-build shelving products, we have the inside word that Howards Storage World are running a Double Rewards promotion from Monday, 12 May to Sunday, 29 June, 2014. This means if you’re an Inspirations member and make a purchase, you get a $20 voucher for every $200 you spend instead of the regular $10 voucher. If you’d like more information about any of these products or storage solutions, there is a wealth of information on the Howards Storage World website or pop on in to your local store – there are more than sixty around Australia.